The Governor of Arunachal Pradesh Brig. (Dr.) B.D. Mishra (Retd.) met the Union Minister of State (Tourism) K.J. Alphons at New Delhi on 20th September 2018. 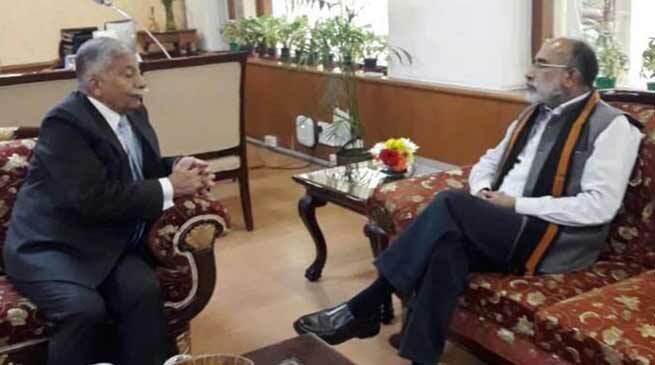 They discussed on specific issues for enhancing and promoting Tourism in Arunachal Pradesh.